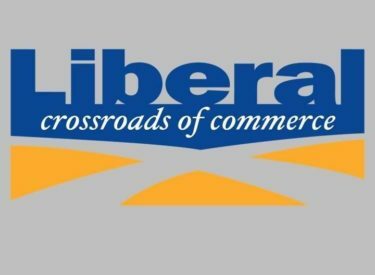 The Liberal City Commission met on Tuesday evening and retained its leadership positions. Connie Seigrist will serve another year as Mayor, while Taylor Harden will continue as Vice Mayor. In other items, the Commission approved a Community Improvement District for the Liberal Plaza, approved the first amendment to the loan agreement with the KDHE with the new loan amount now at $3,789,419.00, and approved the Small Cell Aesthetic Standards and established the fees for applications to install Wireless Facilities. Commissioners amended the City Managers contract and moved his retirement from the ICMA to KPERS, and approved the bid not to exceed $750,000.00, with Middlecreek for the 2nd Street waterline replacement that will run from Kansas Avenue to Clay Street.